Hello and welcome to the fifth post in a new SOLIDWORKS Composer tutorial series called the SOLIDWORKS Composer Quick Start Guide! 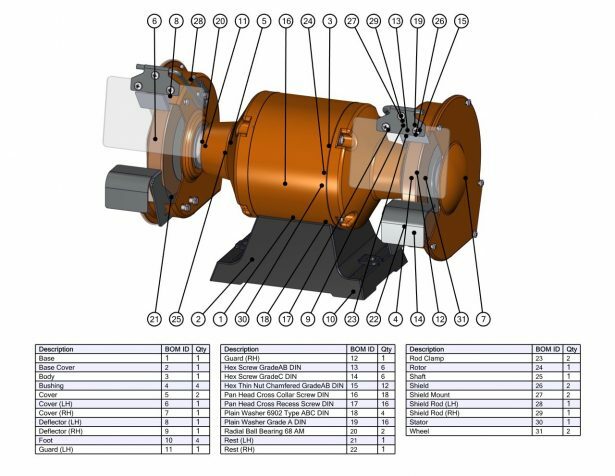 This guide is intended to orient new users in SOLIDWORKS Composer and walk them though the basic features of the software. In today’s episode, we’re covering how to create a Bill of Materials (BOM). A BOM is an incredibly useful piece of documentation both for manufacturers and consumers, and thankfully, creating one in Composer is a very simple process. All the work in creating a BOM within Composer can be done within the BOM Workshop. In order to create a BOM, each piece of the assembly needs to have an ID number. SOLIDWORKS Composer has a breadth of tools in labeling your pieces. You can choose to label your pieces by name, by description, by shape, and more. Once they’ve been labeled, creating a BOM is just a click away. The workshop even includes a Callout tool, which will automatically label your pieces with their BOM ID, to make the connection between the table and the assembly even clearer. You can also choose to directly import the SOLIDWORKS BOM from your SOLIDWORKS file if you have already created one.